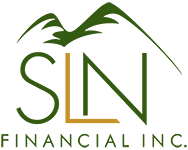 4 Big Benefits of 401(k) Plans | SLN Financial, Inc. Whether you're aware of them or not, there are some substantial benefits to having a 401(k) plan. Here are four benefits that make these plans worth having. 1. Payroll deduction. At the surface it may not seem ideal, but in reality, you are much more likely to save money when it's automatically withheld from your paycheck, opposed to it being up to you to save it. 2. The match. In 2018, many employers match their employees' 401(k) contributions to some degree. If that's the case for you, try to contribute at least the minimum needed for matching if possible. Otherwise, you're literally leaving free money on the table. 3. Stable value funds. Typically, these funds are only available through special arrangements such as a 401(k), and they pay interest comparable to a bond fund, but without fluctuating in value. This can be very beneficial if you're looking for better returns than cash, but with less volatility than bonds. 4. Access to loans. Did you know you may be able to borrow from your account while still working? This ends up being advantageous since you don't have to worry about paying taxes, and you can put the money back in your account. However, it should be noted that you lose any potential earnings on the borrowed money. Are you in need of an updated retirement savings strategy? Give us a call and we can assist you in making the right decisions for you and your family.